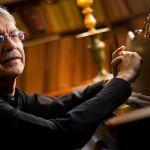 To celebrate award-winning composer John Harbison’s 80th birthday today, we’re publishing this conversation between Mr. Harbison and WHRB Classical’s Allison Pao from earlier this year, in which they discuss the Harvard music scene, cultural shifts Harbison has experienced in his lifetime, the conflicts between the jazz, rock, and classical genres, what the priorities of composers should be, and more. 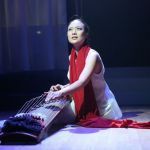 Musician Jen Shyu conducts fieldwork on traditional music all around the world, and in her compositions, she likes to subvert the distinctions between the traditional and the contemporary. But, she says, "I truly believe that the process must come from, at least for me, very deep research: a very deep internalization process of learning from a teacher as if I were a baby learning from nothing." The ethereal, pulsating layers of sound from her electric guitar wash over you, her classically-trained technique flawless to the point of imperception. 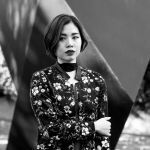 This is JiJi, an adventurous classical guitarist with a passion for new music. We interviewed her before her upcoming concert at Highfield Hall on October 28th. 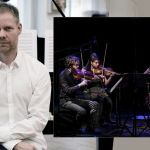 WHRB Classical interviews contemporary composers Max Richter and Clarice Jensen who are redefining classical music today through their compositions. Max Richter provides an argument for political engagement and tonality, while Clarice Jensen emphasizes that classical music can be enjoyed anywhere.